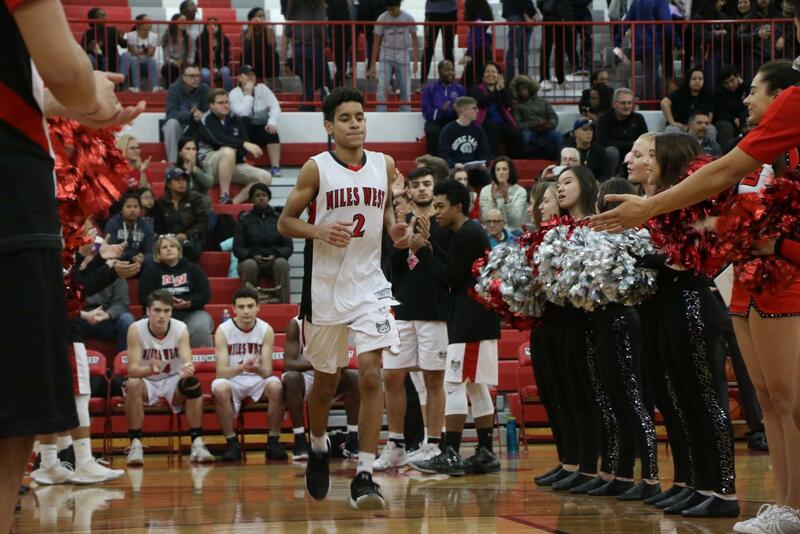 On Thursday, Nov. 30, the boys varsity basketball team had a tough loss against their "cross town enemy" team, Niles North. The Boys Varsity Basketball team tips off on Monday, Nov. 19th, 2018, against Hoffman Estates with a full week of games behind that. The boys team this year is full of new names and faces but they are confident in their skills and work ethic to keep up with the top name schools in the Conference. With many new varsity players this year and still a new coach coming on his second year, this season looks to be a challenge that the boys are willing and excited to take. “We’ve been developing our skills and getting stronger in the weight room as a team since June. All the guys on the team had been playing together in the open gyms the entire fall so our chemistry got to develop as well so we are really looking good for opening night,” senior Emil Comor said. After all of the challenges and problems the team may face, all of the boys are still looking forward to having fun and balling out on the court with each other. “I’m looking forward to stepping onto the court with my friends and teammates and play in from of the crowd and the bright lights,” Pabst said. “I’m looking forward to coach a really nice group of guys who are really close and play hard together. They are a coach-able and fun group and I couldn’t be more excited for the season,” coach Mike Wasielweski said. This is Wasielweski second year coaching boys basketball and this year is looking to be a fun refreshing year filled with new kids from all levels. All in all, the boys are just looking forward to keeping up with the top name schools in the conference and potentially dethroning them. Make sure to keep up with the boys opening week and come out and support them for opening night on Saturday, Dec. 1st, 2018 against St. Ignatius.